Warrendale (Detroit) Blog: Save Rouge Park. Again. Rouge Park, which is the largest municipally owned park in the United States, is currently slated to close on Thursday, July 1 due to budget cuts. As a result of this, grass will no longer be cut in the park, trash will no longer be collected, no maintenance will be performed on any of the facilities, and all programming in the park will end. 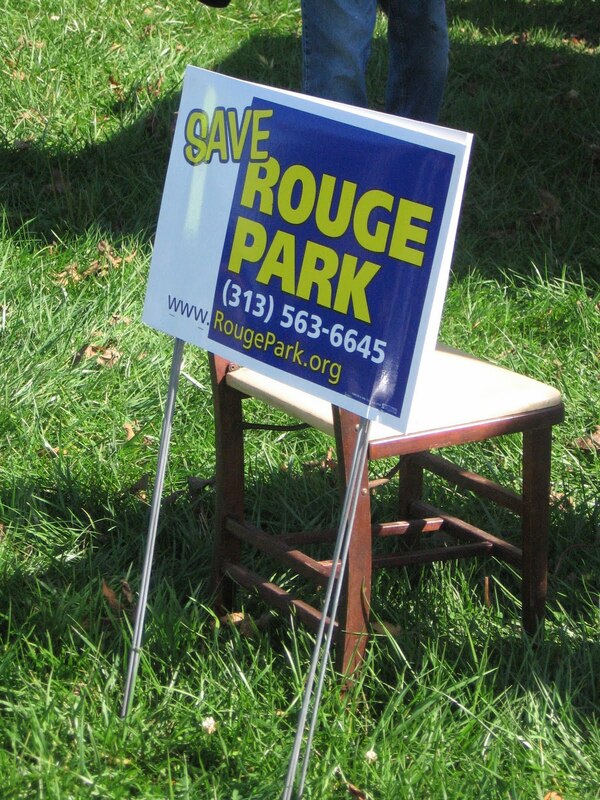 It is widely expected that the lack of grass cutting, trash collecting, and maintenance will have a severely adverse impact on the 457 homes that are immediately adjacent to Rouge Park as well as the approximately 3,000 other homes that are within a 500 foot radius of it. All of this, of course, is in addition to the loss of recreational opportunities for all Detroiters. From an economic standpoint, one should point out that allowing the park to become a blighted area will have a detrimental impact on Detroit's budget in th long-term. The 457 homeowners who are immediately adjacent to Rouge Park pay an estimated $1.1 million in property taxes. If one includes those homes within 500 feet of the park, that total jumps to $7.8 million. If a significant amount of homeowners are forced to abandon their homes as a result of this blight, the City of Detroit will have to make additional cuts next year in order to accommodate for that drop in tax revenue. As a result of this proposal, the Friends of Rouge Park have organized a rally in opposition to this closure. It will happen on Monday, June 28 at 5 p.m at the Brennan Pools in Rouge Park. The pools are located just south of Plymouth Rd. in the park. A map is available here.